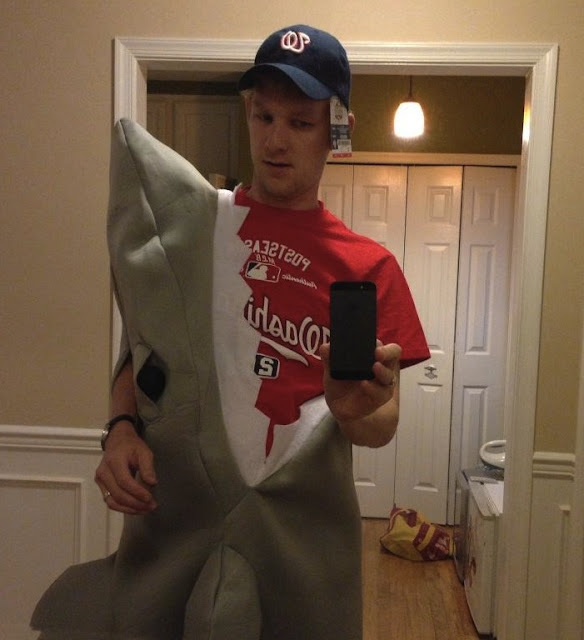 Instead of the congratulating the Giants though, I choose instead to congratulate the real heroes of October, the people who despite the Nationals losses in the NLDS, let their Shark Pride burn strong throughout the postseason and through Halloween. With his french sounding name, an iPhone 5 and this awe-inspiring halloween costume, he was a shoo-in. Greatest pumpkin carver to every don this planet. Can't lose. That's right, the Kill Bill star happens to be a huge Shark fan! 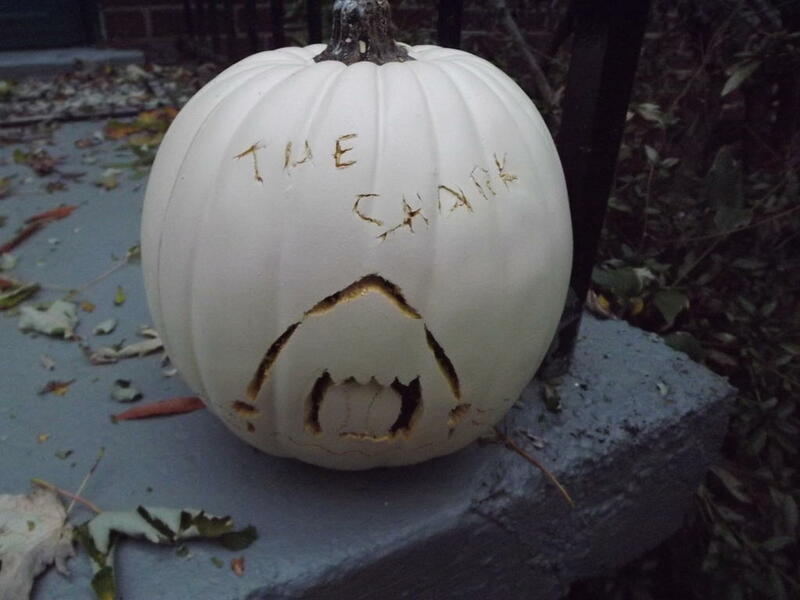 As pointed out by Evan (our September Shark Fan of the Month who takes this honor very seriously), Uma Thurman named her newborn daughter Rosalind Arusha Arkadina Altalune Florence Thurman Busson. Notice anything interesting about that name? Here, look at it again: Rosalind Aru"sha Arkadina" Altalune Florence Thurman Busson. With a name like that, how can you not be a Shark fan of the Month?! Thanks for catching that, Evan! We love the newborn's tattoo, Uma. Help me once again congratulate these three (clapping at the computer would be socially acceptable)! Remember, if you are interested in becoming a Shark Fan of the Month (or seeing your name/picture on a website), e-mail us your Sharkadina pride at Sharkadina@gmail.com.